I haven't sullied my eyes by either reading the book or seeing the movie. However that doesn't stop me giving my opinion. The movie was faithful to the book. 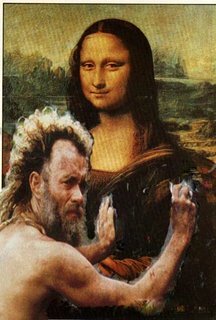 Also Tom Hanks' portrayal of Leonardo Da Vinci in the movie was totally unconvincing (see picture).